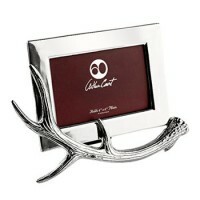 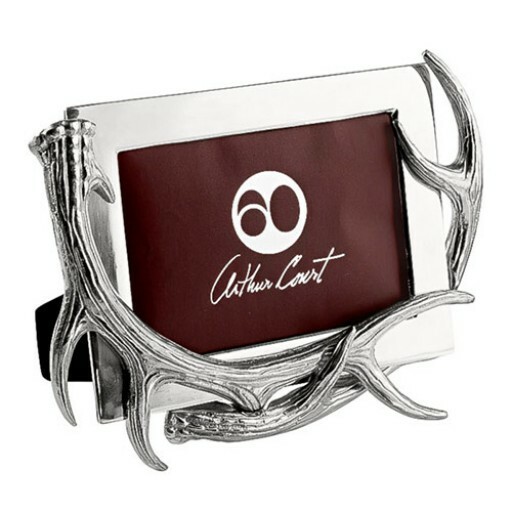 Surrounded by two antlers, Arthur Court's picture frame is a unique gift for home decor. 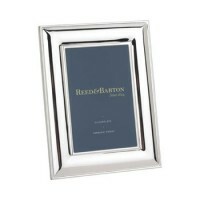 The selection is non-tarnishing and may be posed horizontally. 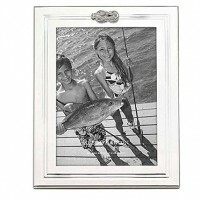 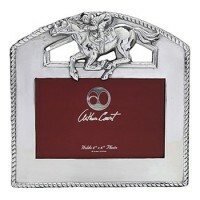 Beautifully backed, the 5 x 7 picture frame is perfect for displaying pictures of a hunting conquest.